Home>> Phyllis Tuckwell >> Walk or Run with Phyllis Fun! Walk or Run with Phyllis Fun! 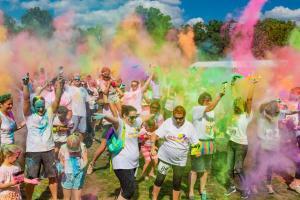 Phyllis Tuckwell’s Dash of Colour will see you covered in powder paint! It lifts your mood, lowers your blood pressure and helps you keep fit, but if you need another reason to get out for a good walk this summer, how about to raise money for Phyllis Tuckwell Hospice Care? Start off slowly with a leisurely ramble through stunning countryside at the charity’s annual Walk for the Wards event, which will take place on Sunday 2nd June. Starting and ending at More House School in Frensham, participants will set off at 9.30am on either a five or ten mile route, both of which will take them through the beautiful local countryside. With a free cream tea at the end for everyone who takes part, what’s not to love about this morning out in the fresh air? Registration is £15 for adults and £7 for children (U14). If you’re more of a night owl, then this next one will be perfect for you. To celebrate its 40th anniversary, Phyllis Tuckwell is bringing back its popular Steps under the Stars event – for this year only! 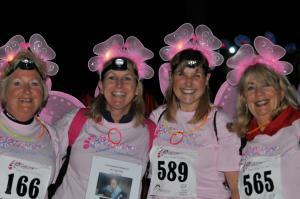 Don’t miss out on this one-off chance to take part in a fabulous ladies-only night walk along part of the North Downs Way. Kicking off at 10pm on Saturday 20th July at the University of Law in Guildford, the shorter route will end four miles later in Puttenham, while the 10 mile option will carry on to the Hospice in Farnham. Sign up now and catch the early-bird price of £18 – after 31st May the price will go up to £22. 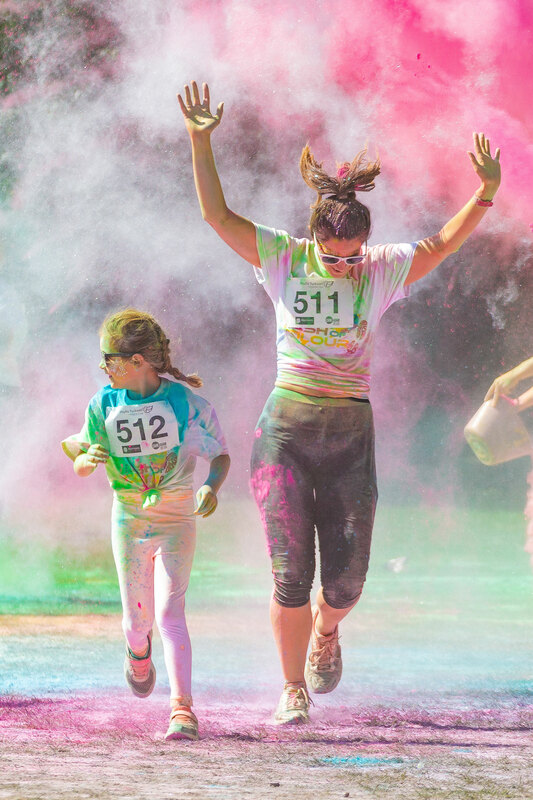 And if walking sounds a bit tame to you, how about a 5k run which will see you covered in all the colours of the rainbow? This year’s Dash of Colour will take place on Saturday 31st August, at Frimley Lodge Park, and will see participants showered in colourful powder paint, with an emphasis on the ruby red tones of Phyllis Tuckwell’s anniversary year! Registration is £18 until 31st May, after which it will increase to £22, and includes your free Dash t-shirt. All of this fresh air and exercise will help keep you fit, as well as supporting local Hospice Care. The money you raise will all go directly towards funding the supportive and end of life care which Phyllis Tuckwell provides for local patients and families who are living with an advanced or terminal illness, such as cancer. Phyllis Tuckwell supports over 250 patients, relatives and carers every day, but as the NHS/Government only covers 20% of its costs, it has to raise over £20,000 a day to do this, and therefore relies heavily on the support of the local community.